Do you rip your movies to your hard drive? I have a five-year-old daughter and we own about half of the Disney collection. Some old and some new. Most are on DVD, but we have started getting some on blu-ray. One thing that I learned a little over a year ago was that it sucked looking for the movie that my daughter said she wanted to watch (what? You put all of your movies back in the case as soon as you are done watching them and then put the movie back where it belongs? Riiiight…) Furthermore, those DVDs and Blu-rays can get scratched, and we have ruined a couple of discs by them getting damaged one way or another. Fortunately about that time, home theater personal computers, or HTPCs were becoming really popular. Now, I have actually had an HTPC for about six years. That’s a little longer than my daughter is old. Yeah, I love HTPCs and the convenience they provide. I have my music collection on there, many of my photos, and my daughter’s movies. Using Windows Media Center, I can listen to that music, look at those pictures, and watch all of those movies. And I don’t have to get out of my couch. I can display a menu on the TV that shows cover art and posters from all the movies in the collection so my daughter can point to the movie she wants to watch. I just click on the movie she chooses and it starts to play. What could be simpler? But that’s another post, so I will leave that for another day. In order to be able to watch my movies in this fashion, I have to rip my movies from their physical medium to my HTPC hard drive. By the way, “rip” means “copy” here. It’s not like ripping a page out of a book. No, it’s more like photocopying a page from a book. But we call it ripping. 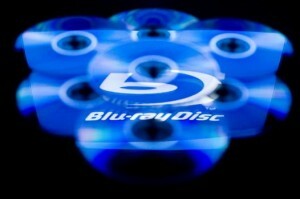 If you search for “rip dvd” or “rip blu ray”, you will get thousands of software solutions to help you with this. I personally use a program called DVD Fab 6, but this past week when I went to rip my first blu-ray movie (Ratatouille), I had to look for something new to help me. DVD Fab says it can rip blu-rays, and it looked like it was ripping the movie correctly, but there was no sound at all from the saved AVI when it was done. So I looked around for another program to see if it would work better for me, and I came across AVS Video Converter 6.4. And this is where it gets interesting. According to their documentation, all you have to do when ripping a blu-ray is select the index.bdmv file on the disc as the source, and that should automatically bring the entire movie along with it. Well, that didn’t work for me. Next, i tried selecting the individual m2ts files in the stream folder. But then the movie was out of order. It wasn’t looking promising for this program either. I was actually beginning to think that ripping blu-rays was still not quite ready for prime time, which was disappointing because the only copy of Ratatouille I had was on blu-ray. Finally, I had an idea. What if it wasn’t the software, or my processing, but instead, what if it was something unique about the Ratatouille disc? I did some searching and what do you know? I happened to pick what is probably the hardest disc in the American movie collection to rip as my first disc. It turns out that Ratatouille is a “Seemless branching disc” and also has multiple viewing angles. I found a web page that actually listed the correct order for the Ratatouille m2ts chapters, put them in that order, re-ripped the disc and it worked perfectly! I don’t know if DVD Fab actually ripped the movie in the right order because since it didn’t have any sound, the rip was useless to me and I only watched a few minutes of the movie just to verify that it did not have any sound. In any case, neither program worked perfectly, but ultimately AVS Video Converter pulled it off, with some serious finagling from me. I think ripping blu-rays is still kind of “tip of the spear” stuff, and full automation for the majority of the discs is probably still a ways off. Or maybe not.